First described as "the shaking palsy" in 1817 by James Parkinson, Parkinson's disease is a disabling neurodegenerative disorder that is common among the elderly. It involves the gradual depletion of brain cells that control balance and movement, causing trembling, muscle rigidity, and difficulty walking. Characteristic brain changes – such as the formation of Lewy bodies and the degeneration of dopamine-producing neurons – have been identified, but diagnostic tests and therapeutic options remain limited. Written and edited by experts in the field, this collection from Cold Spring Harbor Perspectives in Medicine includes contributions covering all aspects of Parkinson's disease, from its neuropathological and clinical bases to the diagnostic challenges and therapeutic interventions. Contributors discuss the mutations in genes encoding proteins such as α-synuclein, parkin, and LRRK2 that cause Parkinson's disease; the roles of mitochondria, autophagy, protein quality control, and programmed cell death in disease progression; and the chemistry and anatomy of the basal ganglia that are affected. The use of functional neuroimaging and experimental models to probe the neurobiology of Parkinson's disease are also described. 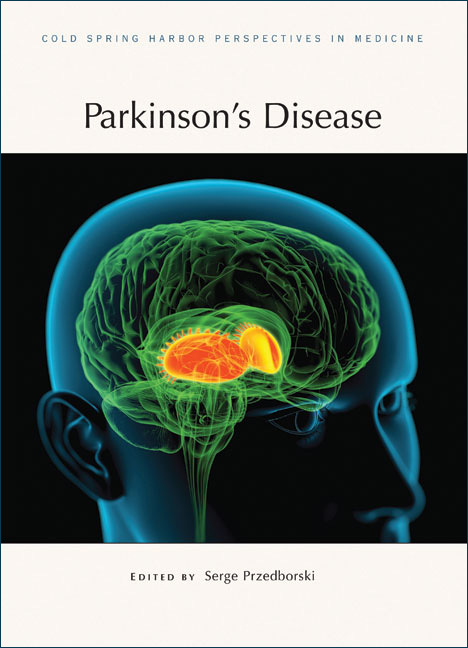 Blending both the clinical and basic science of Parkinson's disease, this volume is a vital reference for neurobiologists, cell biologists, and pathologists pursuing the biological basis of Parkinson's disease, as well as scientists and clinicians interested in its diagnosis and treatment.